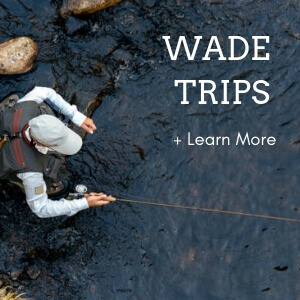 The fly fishing experience in and around Aspen Colorado is world-class and has something for everyone from the life long enthusiast as well as for the first-timers. The Aspen area is home to three river drainages, the Roaring Fork River the Frying Pan River, and the Colorado River. 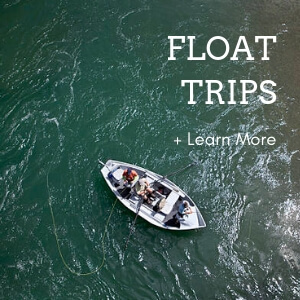 All boat ramps and wade fishing stretches are within a 5min to 55min drive from Aspen. The summer fly fishing season officially starts after runoff (snowmelt) usually towards the end of June. Exact dates depend on the winter snowpack along with the early summer temps. As soon as the river reaches it’s peak and begins to recede, water temperatures begin to warm enough to kick off our famous summertime hatches. It’s hero fishing at its finest for those first couple weeks. 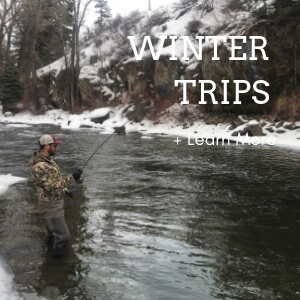 Fly fishing men and woman have all the options this time of year, whether its dry fly fishing, wet fly fishing, or throwing streamers, you really can’t go wrong. Early summer rolls into later summer and although the feeding lanes can change, and the insects continue to change, the trout remain active and can be found in their feeding lanes. This is where fishing with a guide who is out there daily really pays off. Although no two years are going to be the same, you can bet our rivers are supplying the food necessary to keep these trout healthy and searching.